1. Take off your pants. 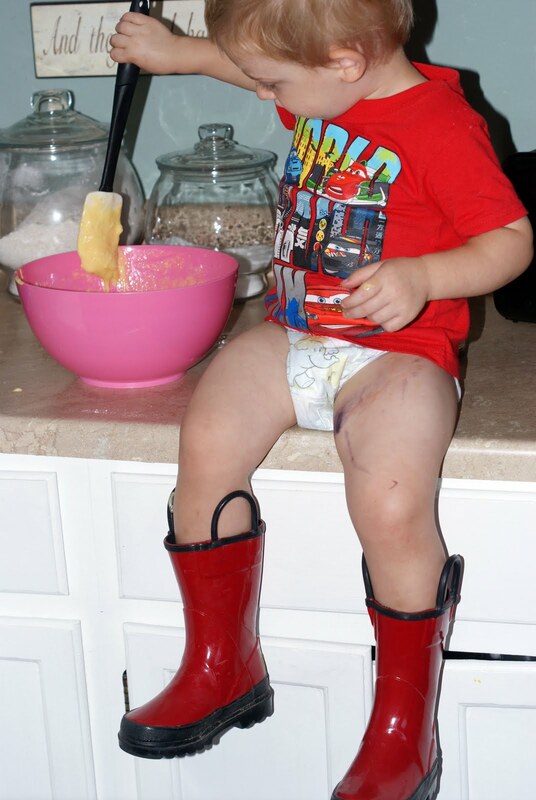 Wearing shorts must not be suitable for baking. 2. Draw on legs, face and hands with markers. This has nothing to do with baking, it's just fun. 3. 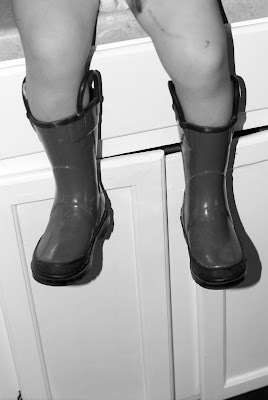 Put on rain boots. 4. Pour in the ingredients. 5. Put your hands in and mix it all up. 6. 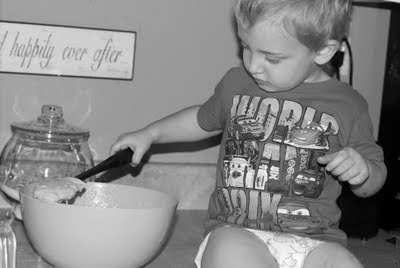 Take the spatula mommy hands over to stir. She tells me to use the spatula but it's way more fun to put my fingers in it. 8. Throw some on the floor. 9. Throw yourself down on the floor when mommy says we are all done. 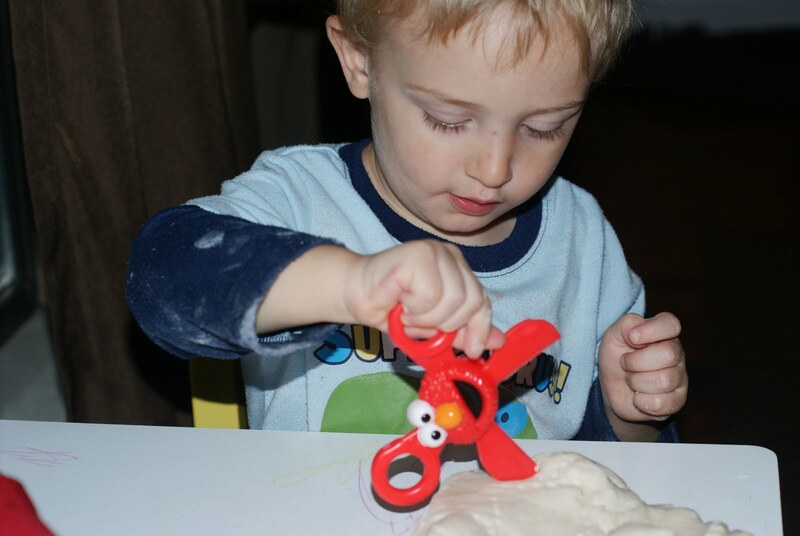 Brady loves to cook and while he is good at 'helping,' his recipe won't really get you a nice yummy cake so here is an easy recipe for play dough! Combine ingredients in bowl and mix. 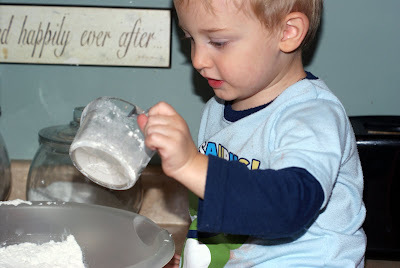 Add more flour if mixture is too sticky. Store in a plastic zip-lock bag. 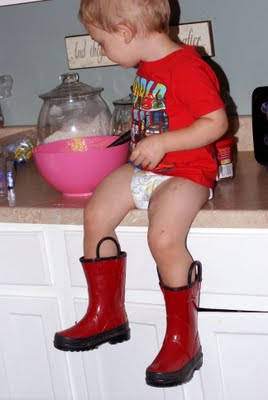 LOL....love the boots! I don't know why, but my 4 year old daughter seems to think she needs to dress to bake, but comes to dinner in her underwear!? This was cute and made me giggle.